We've created a free course to help your staff improve their customer service and understand the needs of international visitors. It takes less than an hour to complete and can be done in stages if needed. After an introduction to England’s Coast (our Discover England Fund project), the first compulsory module covers international visitors to the coast and how to attract and satisfy them. Participants then select from one of nine county modules to learn more about the attractions on offer in your local area. Once you’ve completed a county module, you receive a certificate confirming your status as an ‘England’s Coast Ambassador’. 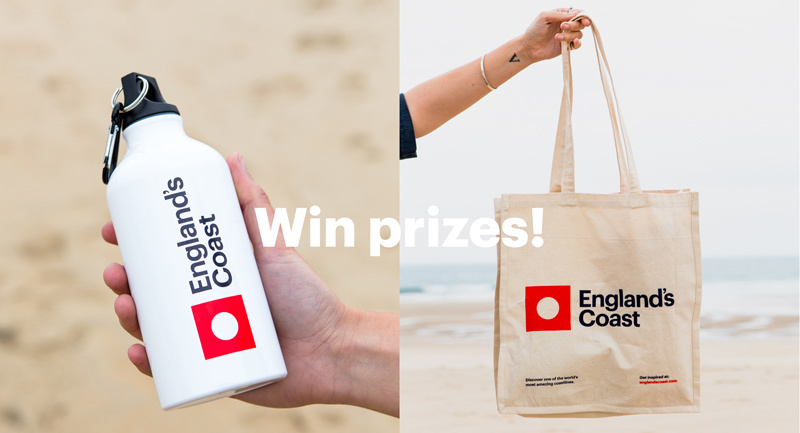 One lucky England’s Coast Ambassador from each region will be entered to win an England’s Coast aluminium water bottle and canvas bag, EVERY MONTH. And better still, at the end of February and March all those with Ambassador status will be entered into a draw to win £50 worth of M&S vouchers! Remember to complete all the steps… after an introduction to England’s Coast, the first compulsory module covers international visitors to the coast and how to attract and them and keep them returning. You can then select from one of nine county modules to learn more about the attractions on offer in your local area. Once you’ve completed a county module, print off a certificate confirming your status as an ‘England’s Coast Ambassador’!